Tag Archive | "Google alerts"
Last week we ran a story on Corp. Glen Hill, the first man from our area to be killed in WWI in France, in October 2018. He is the young man that American Legion Post #287 is named for. The story popped up online for a woman in the UK, and she decided to leave us a very nice comment. The story talked about how Hill was awarded the Distinguished Service Cross July 12 by General Pershing for conspicuous bravery in action on April 12 and 13, and about the same time received the French Croix de guerre. He participated in the battles of Champagne, Aisne, Saint Mihiel and the Meuse-Argonne. After being decorated twice for gallantry in action, Corporal Glen Hill died of wounds received in battle in the Argonne Forest in France, on October 19, 1918. After reading the story online, Jane Brook left a comment on our website. “I am British but lived for several years in the Meuse department of Lorraine, actually in Saint-Mihiel itself. The sacrifices of so many thousands of brave American soldiers like Glen Hill are not forgotten there. 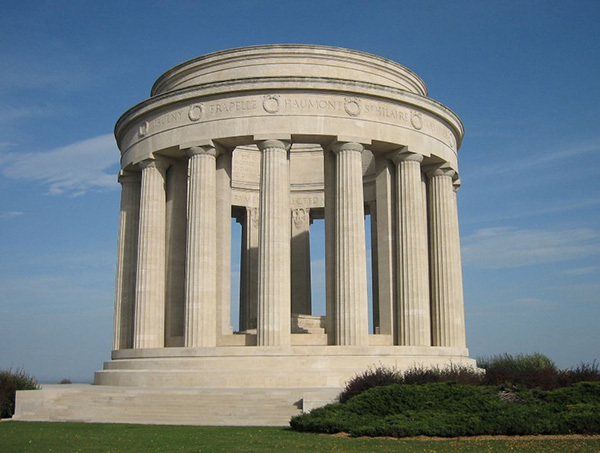 There is a very beautiful monument to the American war dead at Montsec, just a few km from Saint-Mihiel. I lived in the street next to rue Pershing, named after the US general who led operations to free that part of France. Even if French and European politicians forget the sacrifices made by US soldiers, the ordinary people of Europe never will. Thank you to the great country you are,” she wrote. The Post contacted Jane, and she said she came upon the story by chance in her Google alerts, since she tries to keep track of what’s happening in the small town of Saint Mihiel, though she no longer lives there. She spoke a little more of the monument there, and the role of the American troops during WWI. It is good to know that the death of Corp. Glen Hill almost 100 years ago, and all the others that have made the ultimate sacrifice for freedom, have not been forgotten. Thanks so much, Jane, for your comments!